This is what the gear box looks like with the entire casing made visible. I just hid sections of it for the simulation so I could see the gears turning. 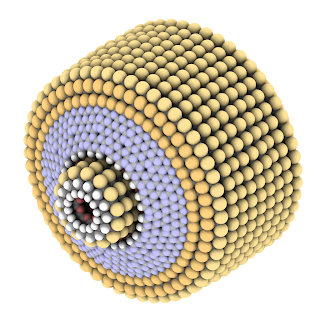 Incidentally I also wrote a full tutorial on building this, starting from a single sulfur atom.